Even with credit problems, driving a vehicle off of our lot is possible with our Fresh Start Buying Program. We make deals with low credit scores that the other dealers turn down. Even as a low credit customer, you might be eligible for a new model with a full warranty. Why? One of our core values as a family, and as a business, is to treat others the way you want to be treated. 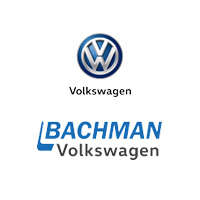 We all experience trials through life, and that’s why Bachman Auto Group has a passion for helping those with low-to-no credit purchase a dependable car that they love. Don’t let a low credit score, bankruptcy, foreclosure or any other issue stand in your way of purchasing a vehicle you will love! We’re proud of the business we’ve built and the community we’re a part of here in Louisville. We encourage you to contact us with the form below to learn more about the Bachman Fresh Start Program.